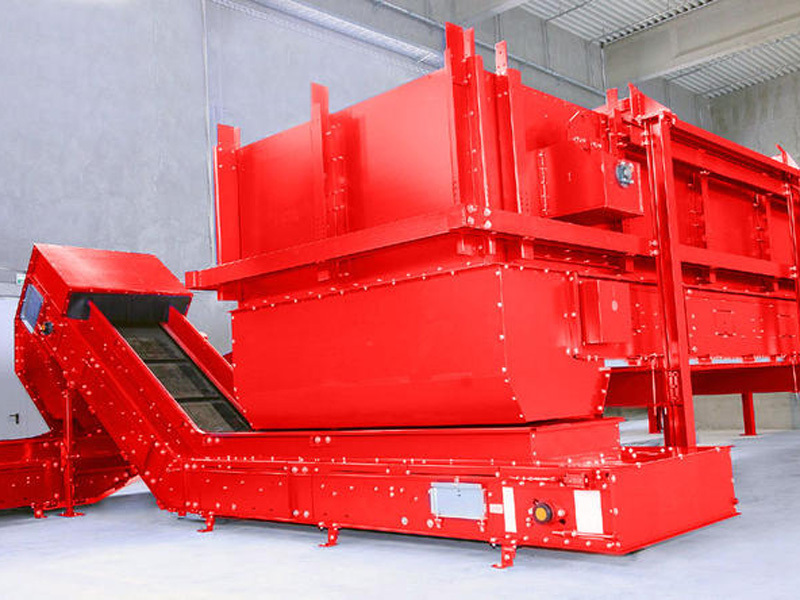 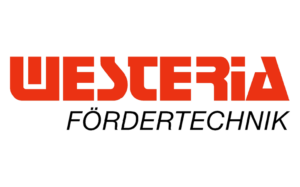 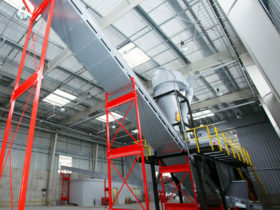 Westeria Foerdertechnik GmbH is a German Manufacture of conveying and wind sifting technology that has been specifically designed for the Waste to Energy and Recycling Industry. 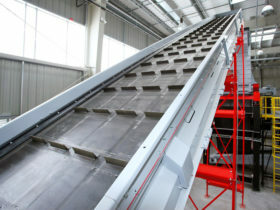 They manufacture a large range of conveying equipment. 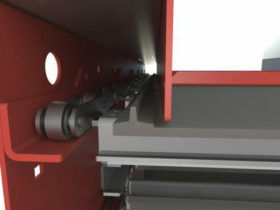 The PipeCon® is a logical extension to, and expansion of, Westeria® Fördertechnik’s product range. 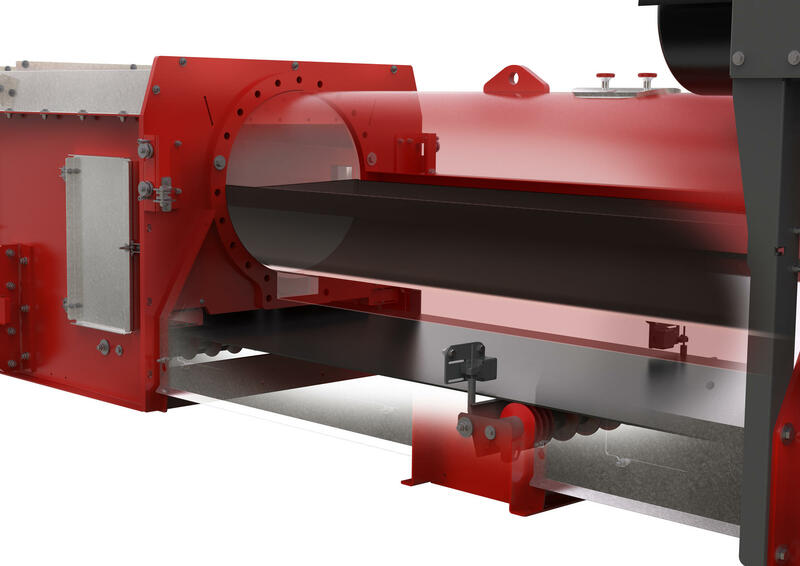 The PipeCon® is a conveyor unit for all types of bulk goods, with clearly defined grain sizes and a high conveying capacity of up to 500 tons per hour. 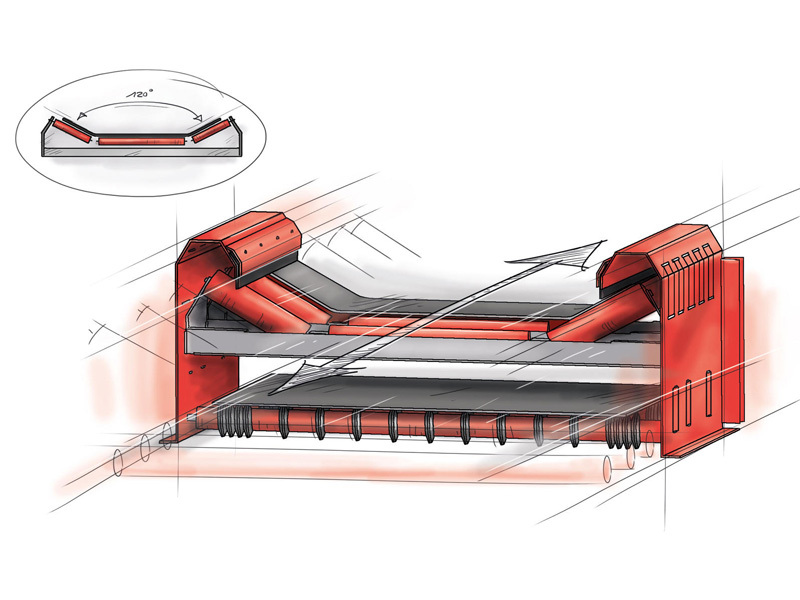 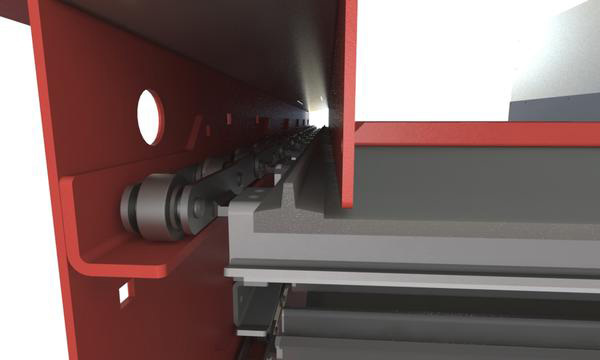 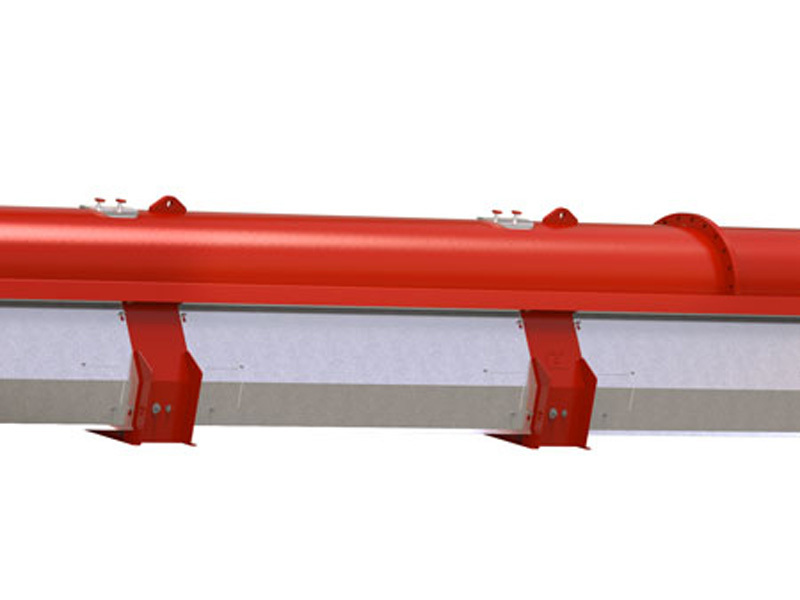 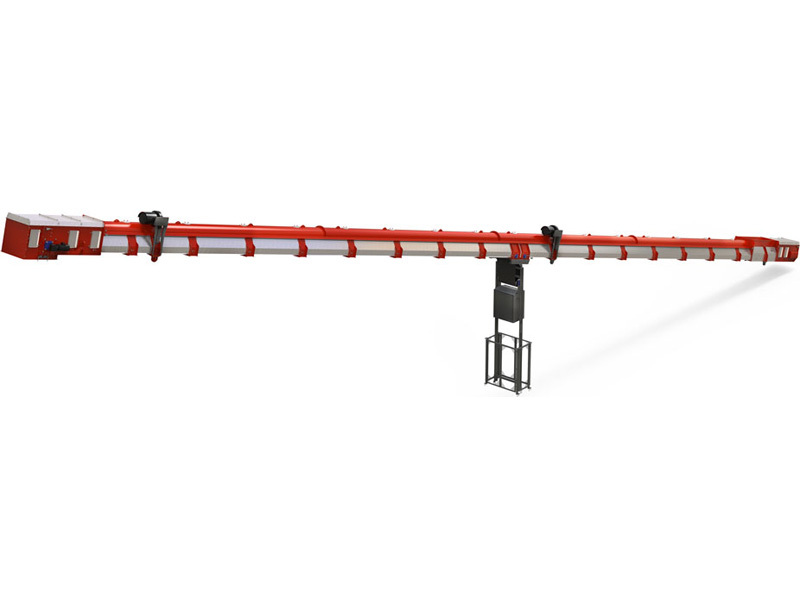 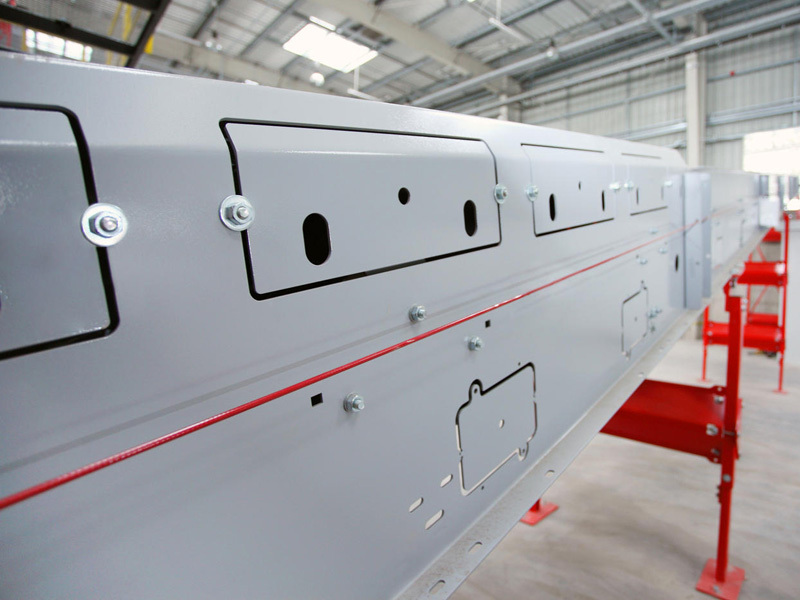 The PipeCon®’s conveyor belt in the upper run is pneumatically powered. 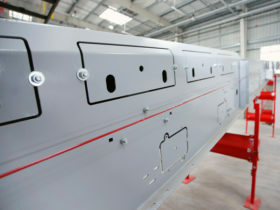 Air nozzles positioned beneath the conveyor belt every 50 meters provide 2.2 kW blasts, therefore powering the belt. 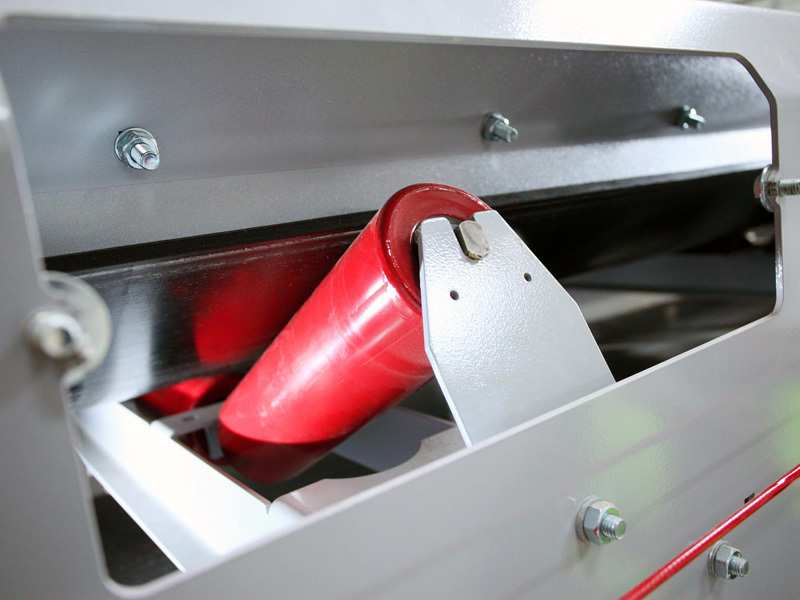 As a result, the entire system is extremely efficient and low maintenance, because hardly any wear occurs. 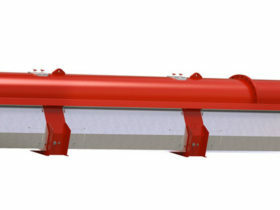 Thanks to its design and special construction, large distances can be economically bridged thanks to a support spacing distance of up to 60 meters. 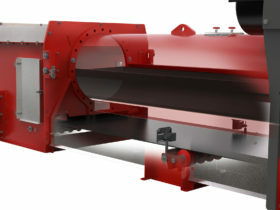 The Westeria® PipeCon® is ideal for the widest variety of applications, because the extremely high degree of sealing means that no separating agents can escape. ThePipeCon® has proved itself in the wood processing and cement industries. What material will you be feeding into your system? 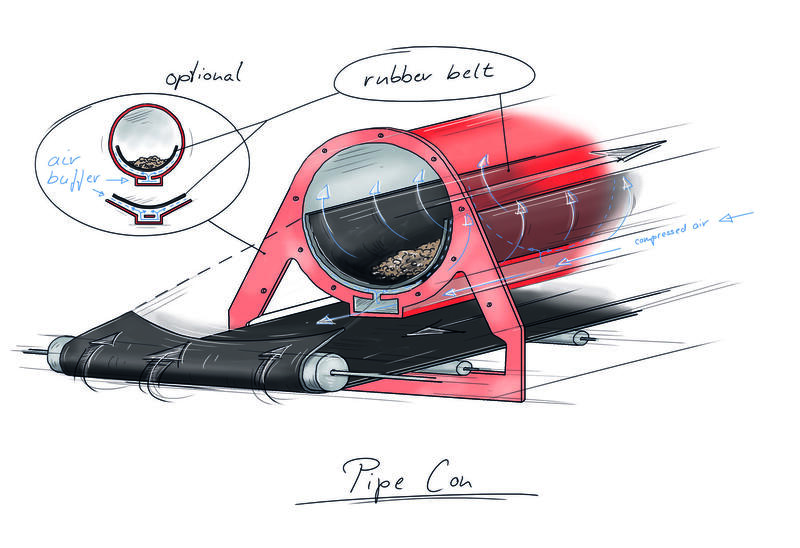 Contact us and we’ll show you what the PipeCon® is capable of. 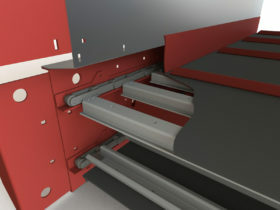 The tried and proven Westeria® modular system was developed to be flexibly and react quickly to customer requirements. 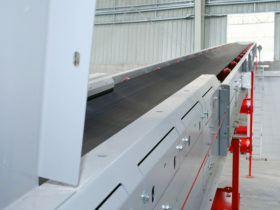 The unique chain belt conveyor system is geared towards every conceivable demand on the market. 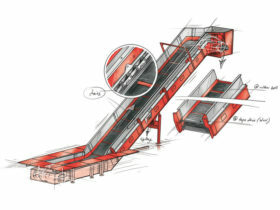 The chain belt conveyor is equipped with steel carriers, transporting every kind of feeding material easily. Westeria® chain belt conveyors combine the highest “Made in Germany” – product quality with an extremely attractive price. 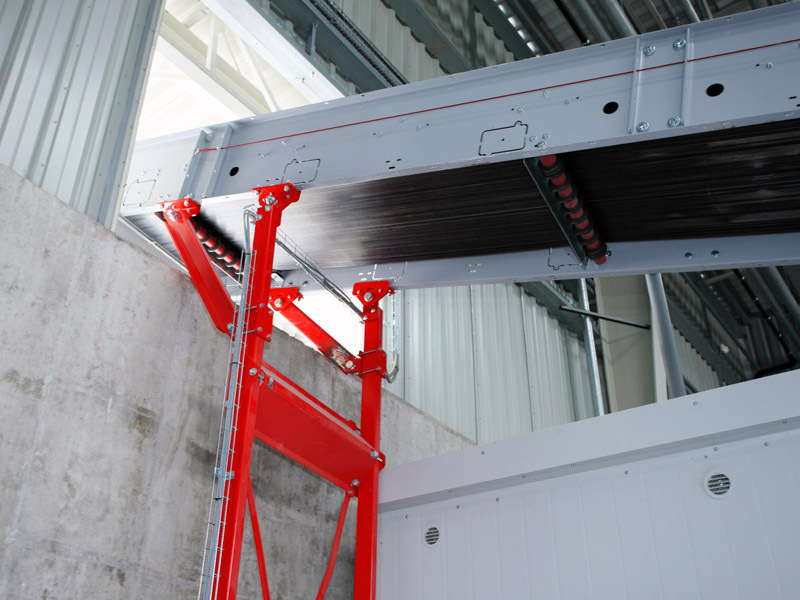 Yet at the same time it provides sufficient space to be able to integrate special wishes and requirements into the existing system – in a flexible way and without any complications. 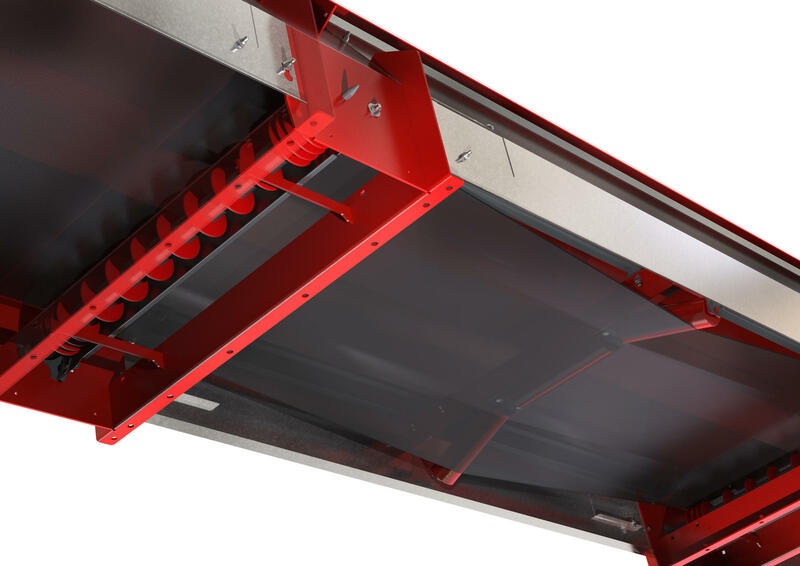 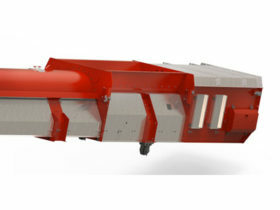 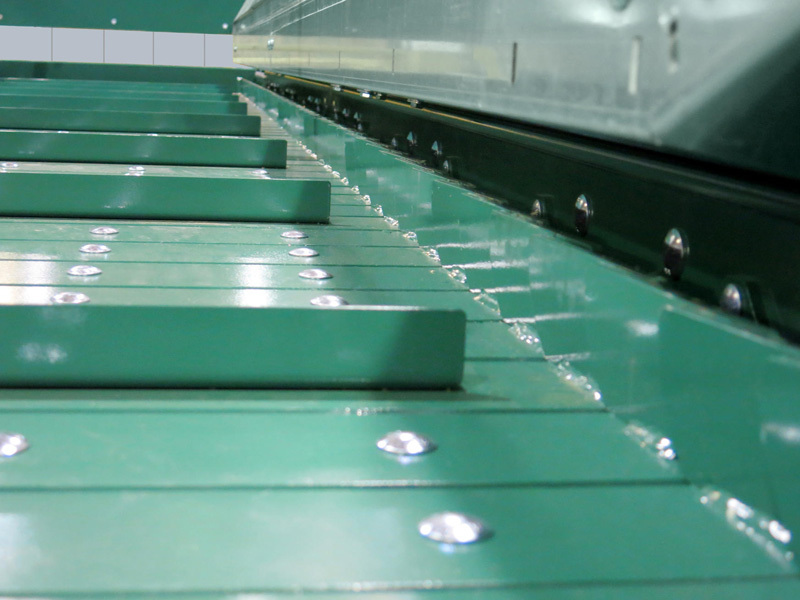 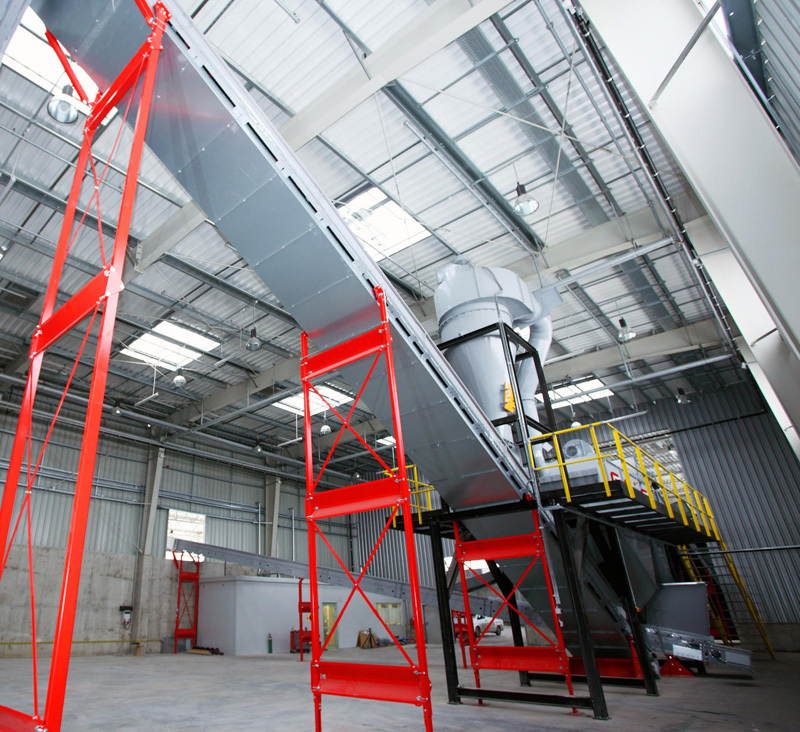 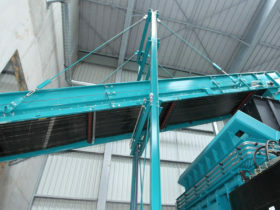 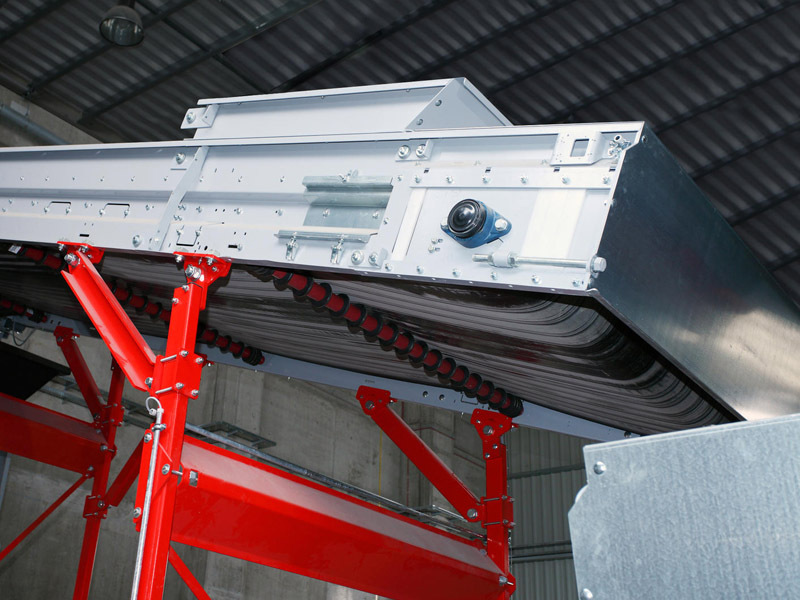 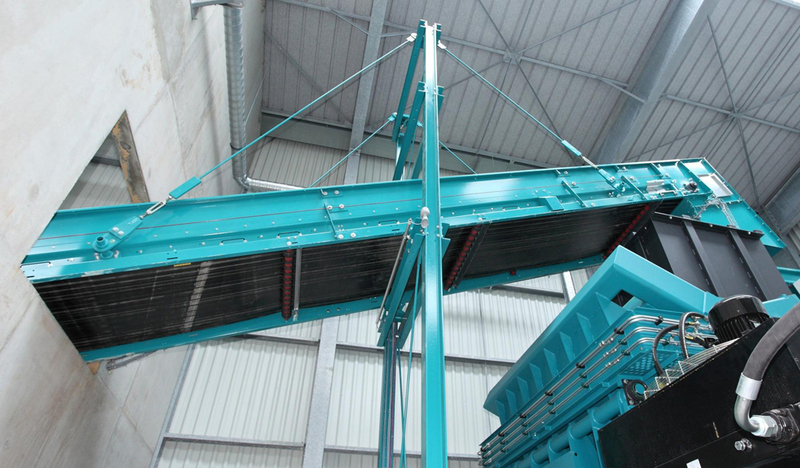 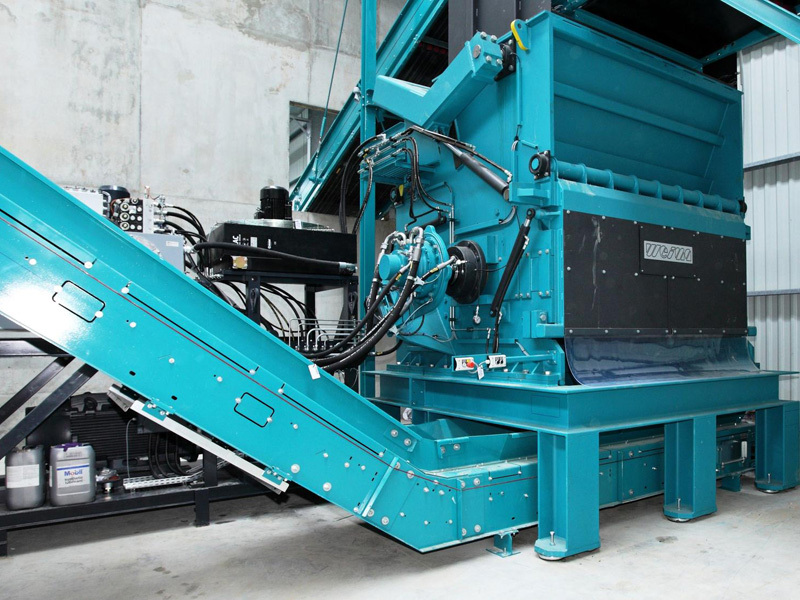 Starting from feeding shredder plants, in particular when processing srcap and building waste, the performance range of our slat conveyors even covers feeding paper presses. 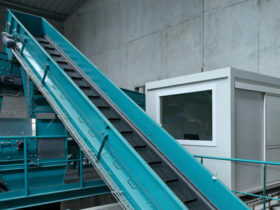 Thus, Westeria® offers an individual transport system for a smooth process. All construction parts are developed to be able to react to your special demands and materials. With the Folding Conveyor system BendCon, Westeria® provides you with a rolling supported folding conveyor belt as the ideal solution for all “conveyor tasks” with an upward bend. 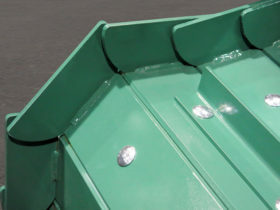 The angle of the folding conveyor belt is aligned or adapted to your specific circumstances. 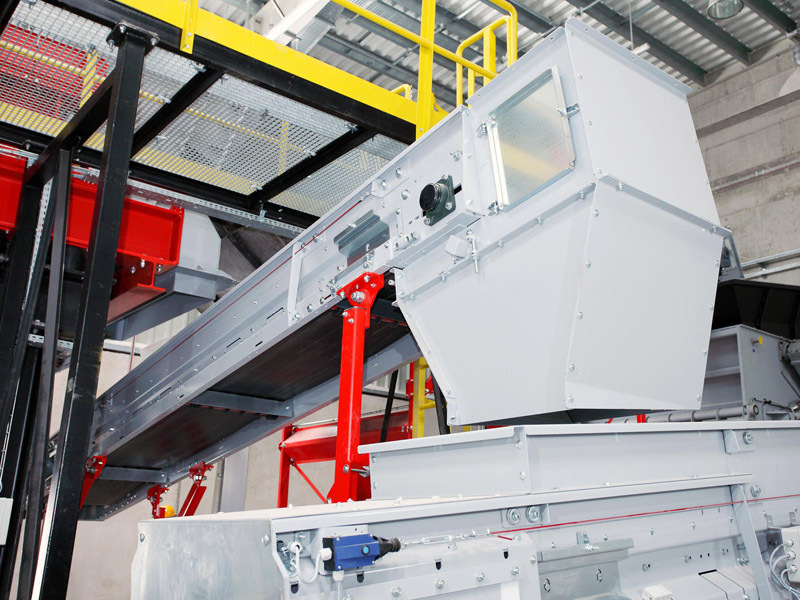 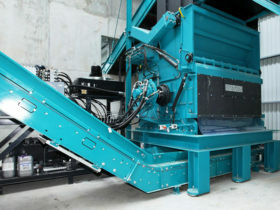 The Westeria® BendCon conveyor system has proven itself as a draw-off feeder for shredders, for instance. 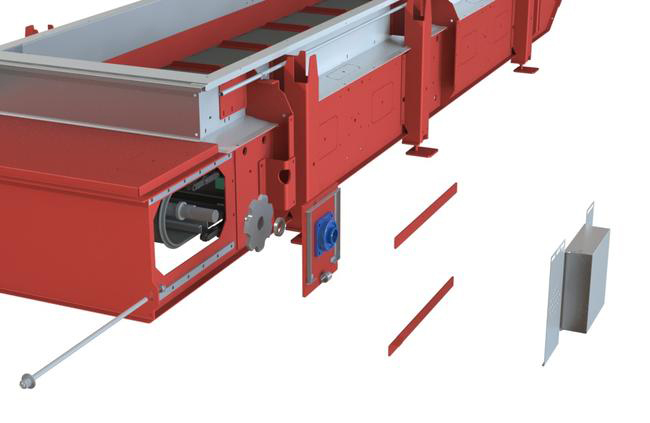 The sophisticated and rugged roller system and the corresponding belt leave no wishes unfulfilled and easily transport the feed material. To what height does your material need to be conveyed? 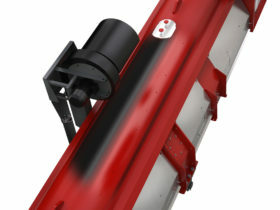 Talk with us. 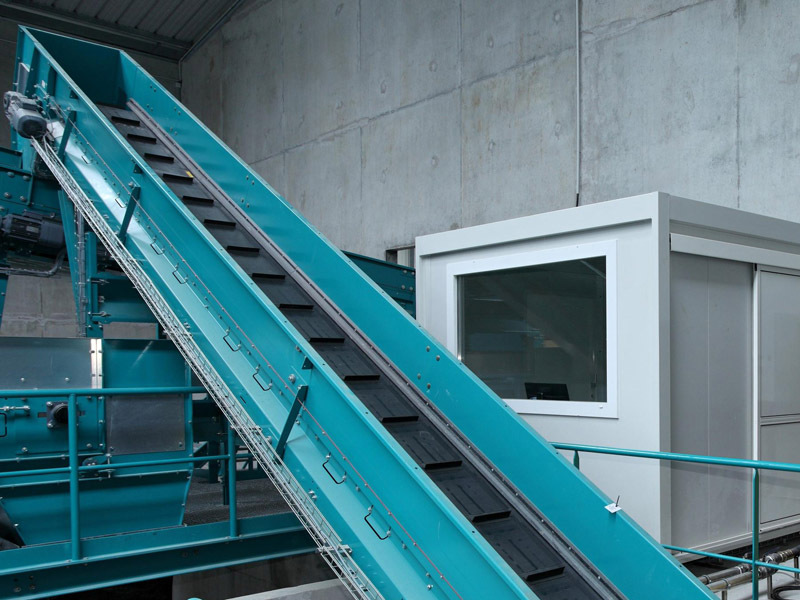 Wherever large quantities need to be processed such as in waste processing plants, the Westeria® standard system has been proving itself for years. 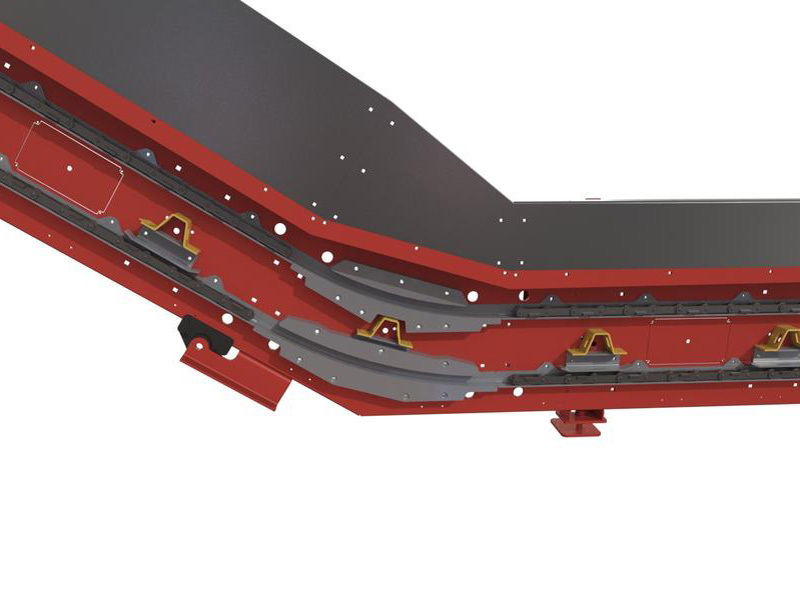 The flat FlatCon belt conveyor system which comes standard with a side seal is perfectly oriented on extremely tough everyday work. A rugged design and the use of low-wear materials have turned the Westeria® belt conveyor system FlatCon into a classic. 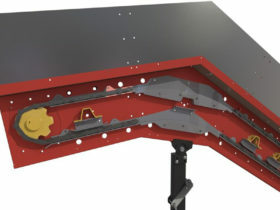 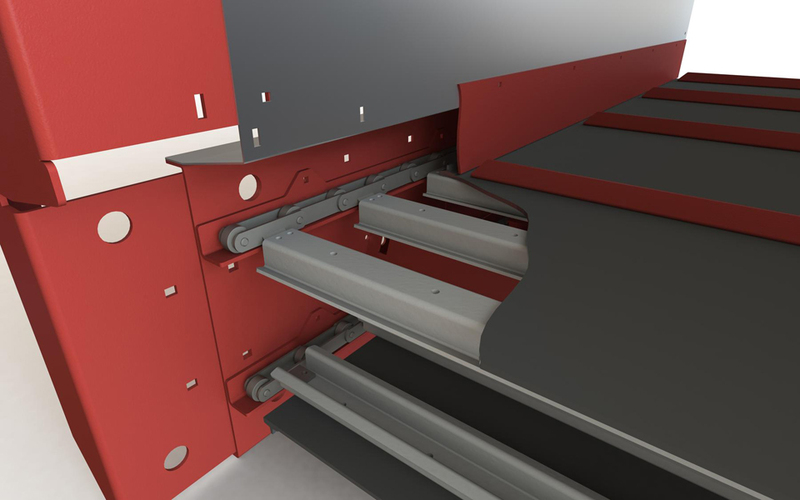 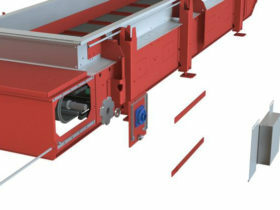 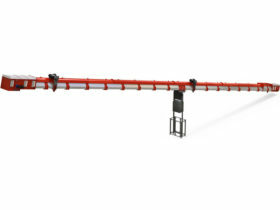 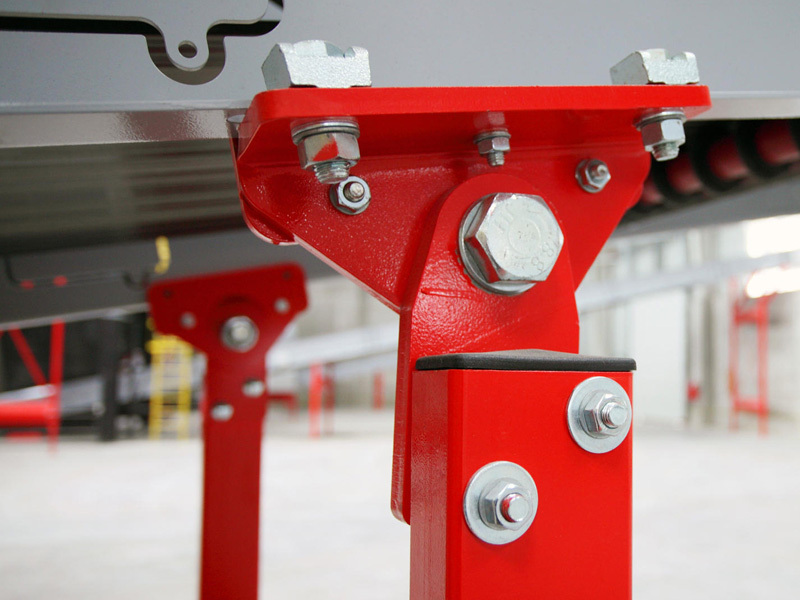 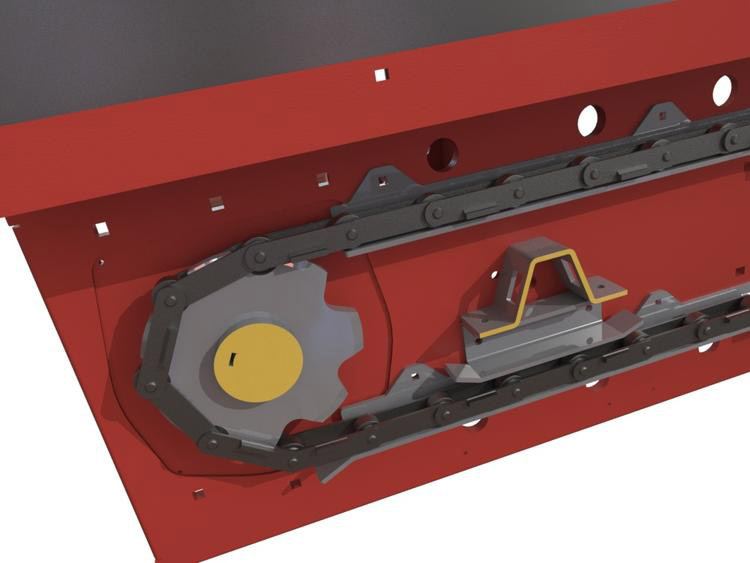 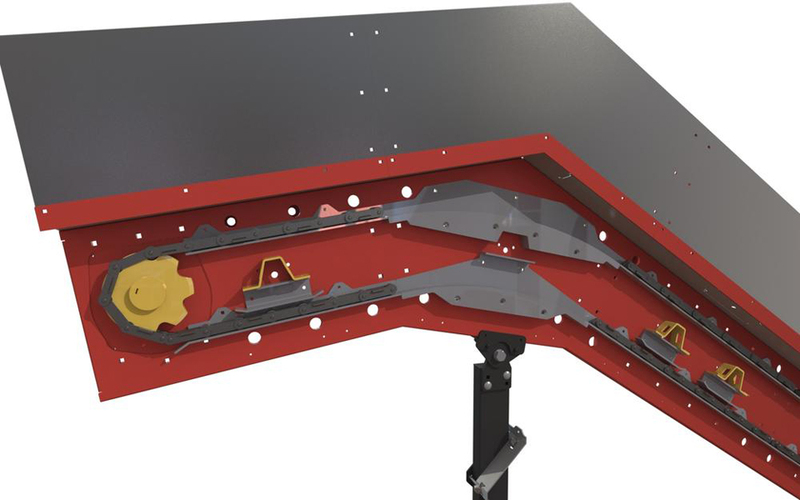 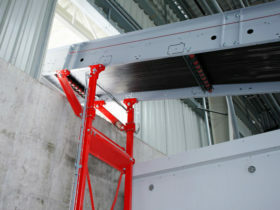 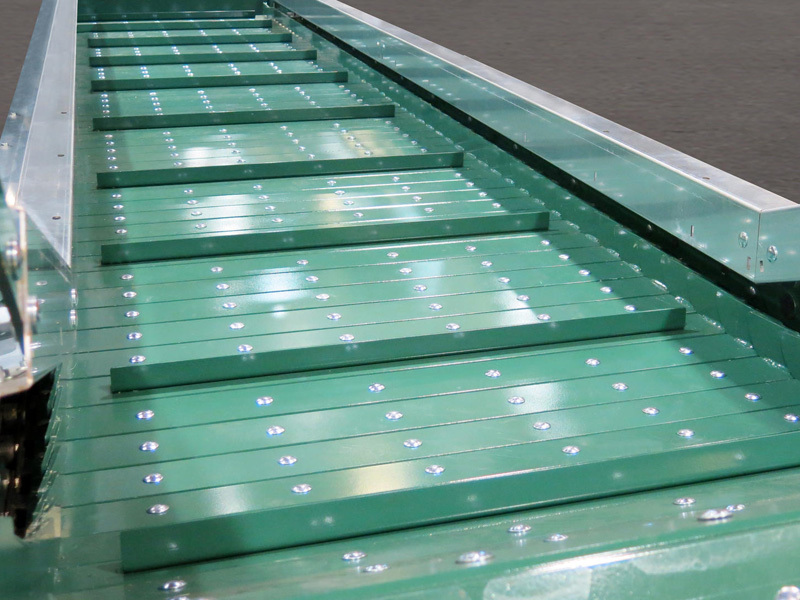 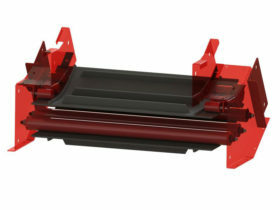 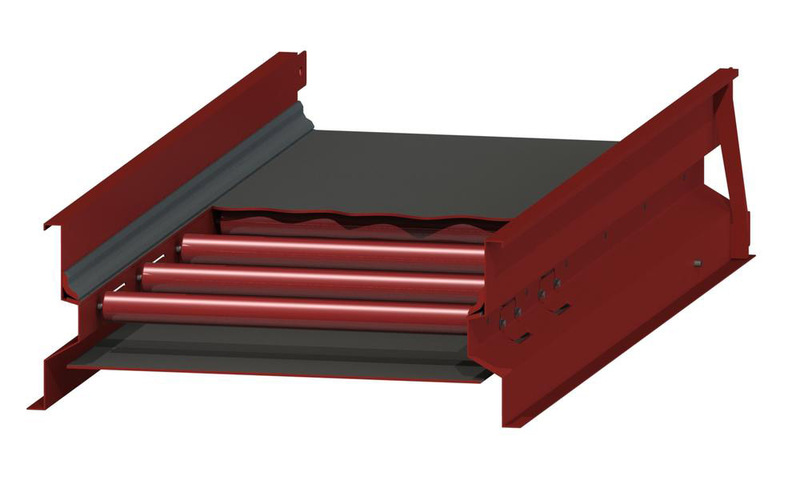 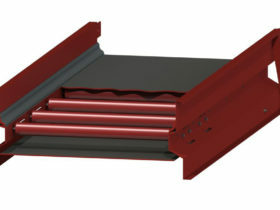 Its modular construction naturally means the flat belt conveyor FlatCon can be expanded at any time. 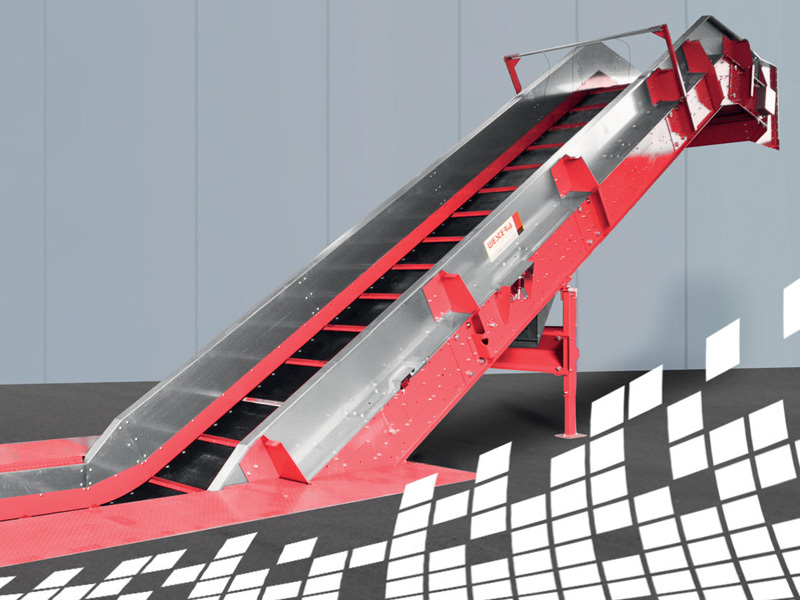 With the troughed belt conveyor UCon1 / UCon2, Westeria® provides you with the perfect troughed conveyor belt system for loose bulk goods with especially fine graining. 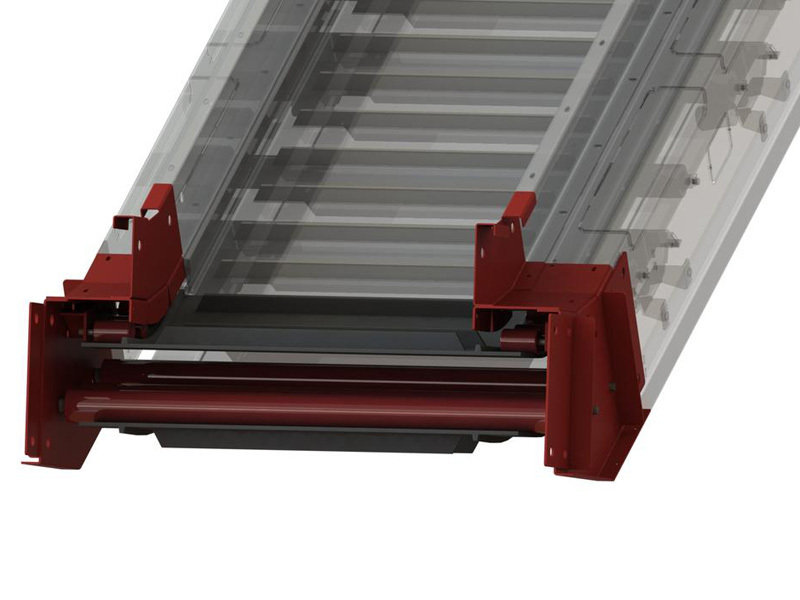 The sophisticated design of the rolling supported conveyor system with its outstanding side sealing is extremely low wear, making it extremely durable. The Westeria® UCon1 / UCon2 conveyor belt system can also be combined with a two-sided walkway. 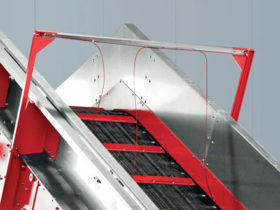 Westeria® provides the right solution for every type of feed material.